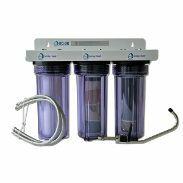 CHLORAMINES replacement filter cartridge for all our countertop and undercounter kitchen water filters designed to remove chloramines. 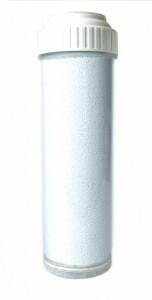 Contains specially-formulated FOAM ADVANTAGE copper-zinc kdf-85 media – and carbon and sediment filtration. 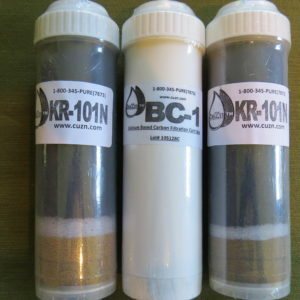 Both kdf and carbon have versions of the media that are chloramine-filtering. And they work together for optimal filtration of chloramine. 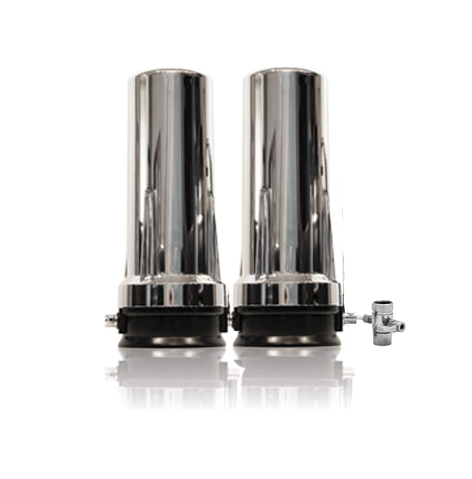 This filter is also a wide-spectrum filter, working on hundreds of contaminants. This filter uses kdf-85 which can be good for well water. NEW IMPROVED Cartridge Casing. THE NEW Casing HAS IMPROVED DURABILITY. 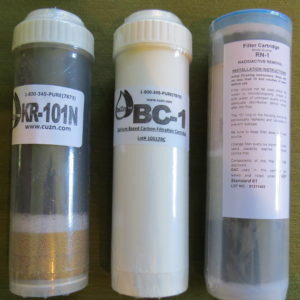 If you got your canisters from us, this is the right replacement for any two-canister chloramine-removing unit.